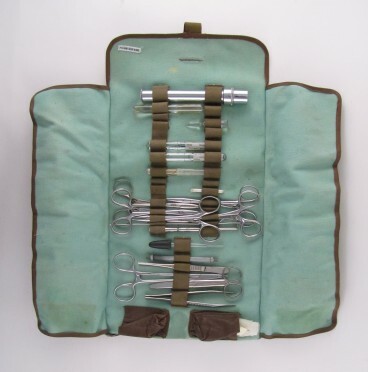 First designed in the 1800s, soft surgical pocket cases allowed military and naval medical officers to carry a small supply of medical instruments and medications for medical emergencies. 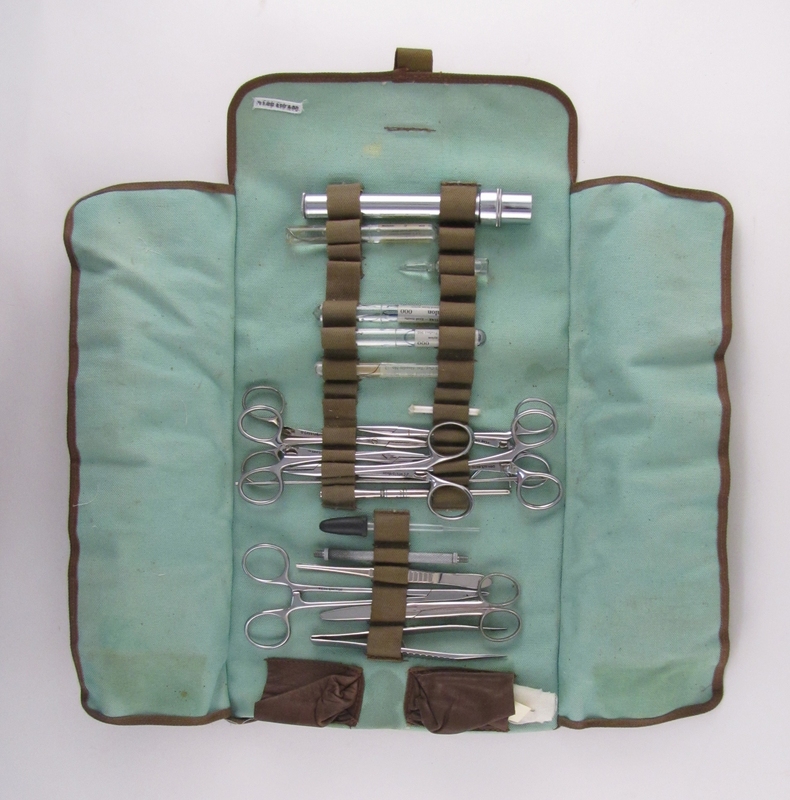 This portable canvas case once used by a Royal Canadian Navy medical officer during the Second World War can be sterilised, is light, and fits into a pocket. It contains a supply of Novocaine, the trade name of the first synthetic local anaesthetic Procaine. German chemist Alfred Einhorn developed Procaine in 1905 to mimic the painkilling effects of cocaine without its unsafe and addictive qualities.